SPECTO and Airborne join forces in the maintenance and repair of composite aircraft structures. As of May 28th 2018, SPECTO Services in Woensdrecht The Netherlands is part of SPECTO Aerospace. Mr. Marco Brinkman takes a share in SPECTO Services and continues as Managing Director and Accountable Manager in the Woensdrecht facility. Both SPECTO Aerospace and SPECTO Services are independent Part 145 approved Maintenance Organizations in the field of maintenance, repair and overhaul of high-end composite aircraft structures and components. Airborne specializes in helicopter rotor blades and structures repair whereas SPECTO has a focus on the repair of radomes, nacelles and flight controls for fixed wing aircraft. The combined Dutch company is an independent component MRO with a significant market share, offering short Turn Around Times and competitive prices to the market, while having strategic agreements with several OEMs. “I am confident on the merge of these two unique companies”, says Jeroen Mast, founder and Managing Director of SPECTO Aerospace. “We have known each other as entrepreneurs for more than 15 years and have the same business approach”. SPECTO Aerospace has a state of the art facility at Amsterdam Lelystad Airport reflecting the ambition to provide MRO services to manufacturer standards. 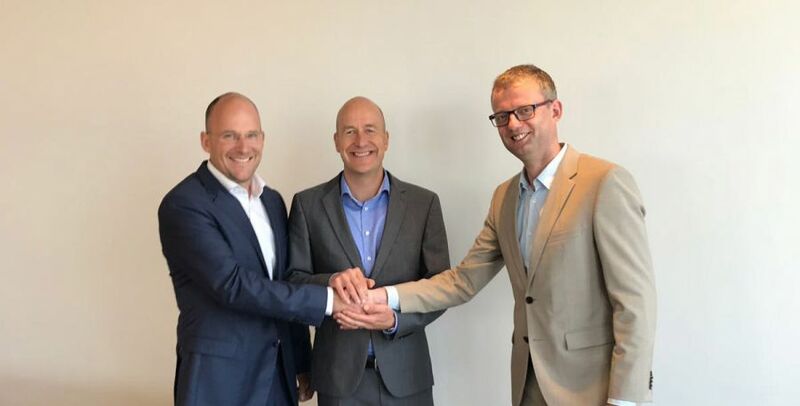 “We are convinced that the growth potential of SPECTO Services is higher in the new setting” adds Arno van Mourik, CEO of Airborne International. “Our group will increase focus on the activities in automation and digitization of composite production processes”. SPECTO Services has a dedicated repair facility at the Main Support Base of the Royal Netherlands Airforce (RNLAF) including clean room, paint shop and rotor blade balancing tools. “With the synergy of SPECTO Aerospace we will offer a larger range of capabilities to our national and international customers, while adding more OEM partnerships in the nearby future”, concludes Marco Brinkman. SPECTO Services is an EASA Part 145 approved and MAA-NLD A-145 accredited maintenance organisation, and FAA 14 CFR Part 145 Repair Station. Furthermore, the company is AS9110 certified. The facility at the Main Support Base of the RNLAF in Woensdrecht, The Netherlands, is fully equipped to maintain and repair helicopter rotor blades and structures for civil and military operators. SPECTO Aerospace, located at Amsterdam Lelystad-Airport, The Netherlands, is an EASA/FAA/TCCA-Part145, AS9100 and ISO9001 certified composite repair facility. SPECTO’s capability covers a broad range of composite, sheet metal and hybrid assemblies. In addition, SPECTO provides on-site support with its field repair team and offers component exchange and loan services to support customers in AOG situations.